Where would be the lowest bridges in London under which deckers still pass? 282 has a 4.4m bridge it goes under. I believe 202 and 160 also go under one that is marked as a 4.4m - though the clearance looks larger than marked for that one. I seem to remember 4.55m but not sure whether that represents 14'5 or 14'6 (it's been a good while for me). Years ago, didn't the W8 have to become single deck for a time after the road under a bridge was resurfaced too high and deckers started touching the bridge while going after it? 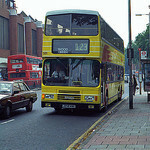 This was when Metroline won the route in 2003. 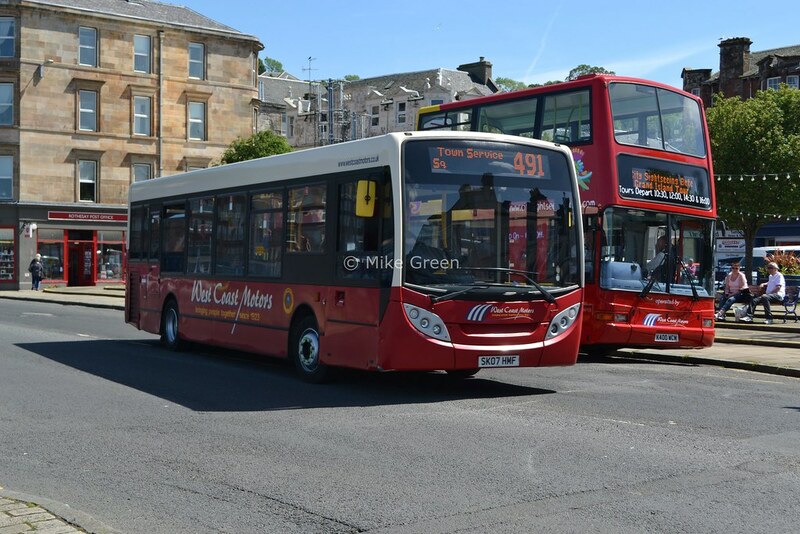 First had been using TNs on the W8 with no problem, but when Metroline tried one of their new TPs it lightly scraped the bridge. The TPs must have been fractionally taller than the TNs. Luckily this was at the start of the school holidays, and they managed to get the road lowered in time for the new school year. Darts were fine on the W8 outside of school times. I'm wasn't aware that full height Presidents had two different full height measurements? I know the ALX400 did - originally were 14'5'' but around 2003, ALX400's were dropped to 14'3''. In theory they should have been the same height! IIRC they were supposed to be 14'6", which was also the stated clearance for the bridge. There must have been a small technical difference - different suspension settings or tyres? - that made the newer Metroline ones slightly taller. Or it may have been something mounted on the roof - radio equipment perhaps - that was the problem. Worth adding to this discussion... Irrespective of how the bridges are measured, if the marked safe height is lower than your vehicle, is it really worth taking the chance? 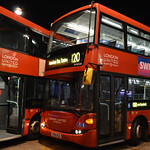 In the link provided by londonbusboy, you can see that the driver has clearly taken the idea of an allowance in the marked height and got stuck. Ultimately, it's him that'll have to answer for it. All for the sake of basically ignoring the markings. I did a vehicle movement once where the road away from the garage had a bridge that was marked by a 14'6" maximum clearance. Vehicle height? 14'6". Literally crawled under that one! In that situation of a bridge being 14"6 and it being the same height of your bus do bus height measurements include things such as iBus pods, tree bar protectors that protrude from the roof? Sorry to get into the fine details but i was simply wondering as if i ever met a 14"6 bridge i dont think id go under it. You don't do rest days on 269s then? Ah yes Summer Hill! i thought i had been under a 14"6 bridge but couldnt remember where! 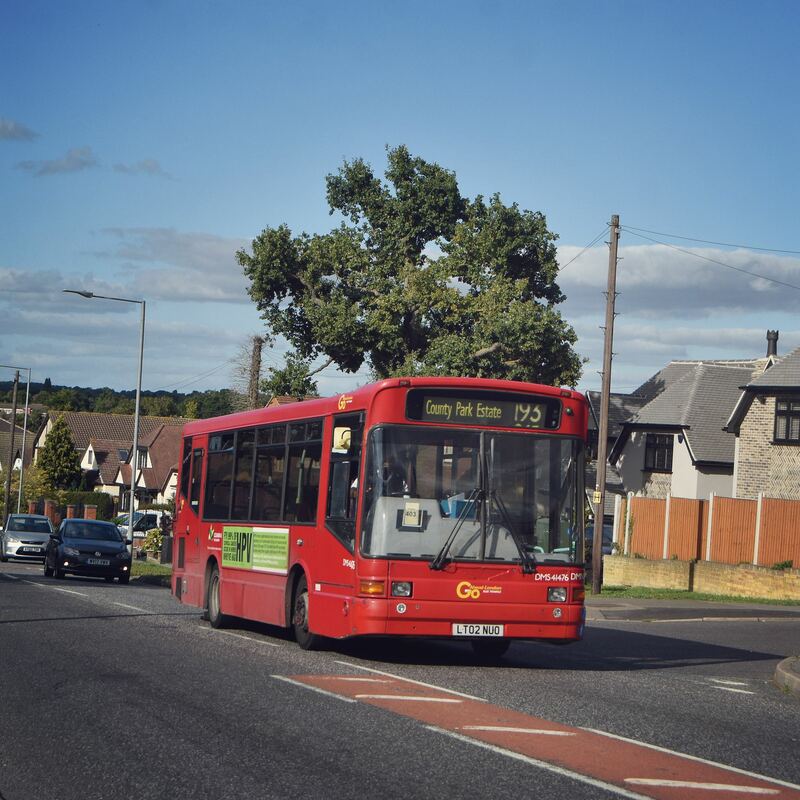 It's been reported that a driver on the 75 had struck a bridge on Penge Lane this morning. Not sure if 12288 was the vehicle in question or if there were any injuries. Good grief the comments under that tweet. People need to get a life and take a long hard look at themselves in the mirror. Are people really that ignorant and bigoted? Ignorant and bigoted? All because they've expressed an opinion that you don't agree with? There's a certain irony there. A driver on the 194 did exactly the same thing a few years ago.